Wildlife Habitat is a native Australian animal sanctuary. With the excitement of travelling to new destinations comes the desire to find new ideas for groups and incentives. 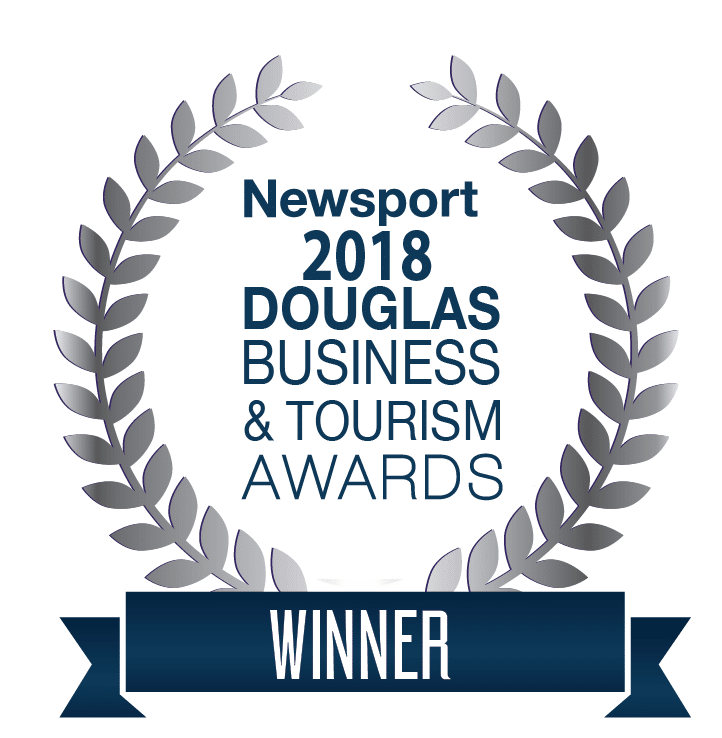 It’s nice to know that there is a venue in Port Douglas large enough to accommodate 250 for a function, yet intimate enough to hold a secluded dinner for 40 guests, and feel like you’ve discovered a secret new world. Slip into the “Habitat after Dark” option for a simple and effective welcome dinner, or get a more tailored solution to fit the needs of your clients. Perhaps a “Survivor”, “Crocodile Dundee” or an “Enchanted Rainforest Evening” is more your thing. Speak to our events team to help design and produce your event. 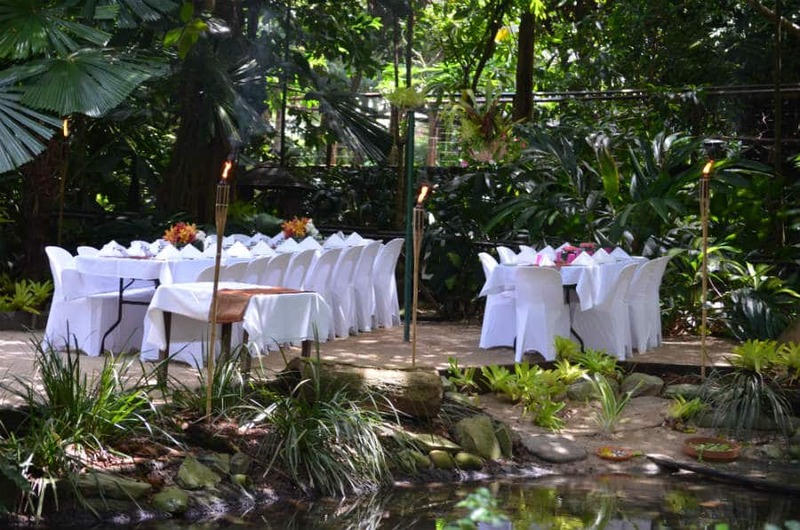 An adaptable all-weather undercover venue that is 5 minutes’ drive from most Port Douglas hotels, makes this a great location for an early open exclusive breakfast, daytime team building options, exclusive dinner venue or a dynamic location for a wedding. Animal interaction and entertainment options if required, can be tailored to suit any idea’s. Let us work with you on creating some unforgettable experiences for your clients, in a venue that is only a hop, waddle and flap as the Kookaburra flies from your hotel in the heart of Port Douglas. With the day’s activities over, It’s time for guests to unwind in nature. Arriving to the sounds of nightlife animals, guests will be welcomed as the sun sets across the Savannah. On dusk wild birds fly into this area to roost and guests mingle with the friendly kangaroos and wallabies who are happy for a pat and to be fed by guests. A crocodile presentation is also included. Our Wildlife Keepers will demonstrate the sheer power of the Estuarine Crocodile during an informative feeding presentation. Guests will be invited through into the Curlew Café where dinner is a waiting. A delicious buffet dinner is served. After dinner guests can take a nocturnal tour of the Wetlands and this will include wildlife interaction. 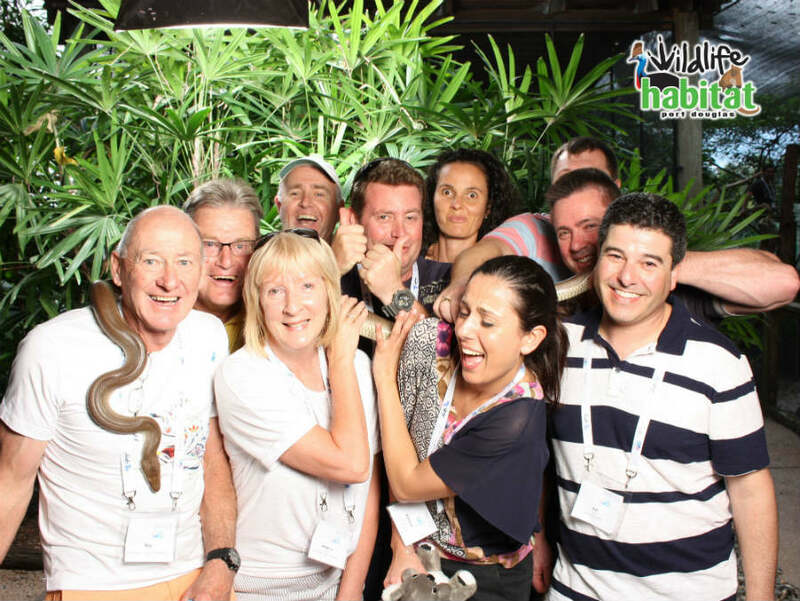 Wildlife photos can also be included and you can add in some live music and even cane toad racing… A night at Wildlife Habitat is a true North Queensland experience. Teams will follow clues to checkpoints across the park. Bonus tasks and checkpoint challenges ensure that it’s not the fastest team that takes out the day. A subtle mix of time, wildlife knowledge and listening skills will see everyone contending for victory. A closing ceremony introduces a surprising twist throwing the whole game up in the air; even the most confident teams will be on the edge of their seats. Team building events help to improve morale and performance. All of our corporate team events ensure that your group will leave the day better connected and invigorated. An additional element on offer is to add in the expertise of a professional facilitator. They will work with you to focus on key issues identified by your company and then develop tailor made outcomes to take back into your business to take your team and your business to the next level. So get excited! Spread the word and feel free to contact us with any queries big or small about our Race Around The Park team building activities. Wildlife Habitat is the perfect location for your unique wedding experience. We cater for ceremonies, receptions and photo locations, during the day and also After Dark. 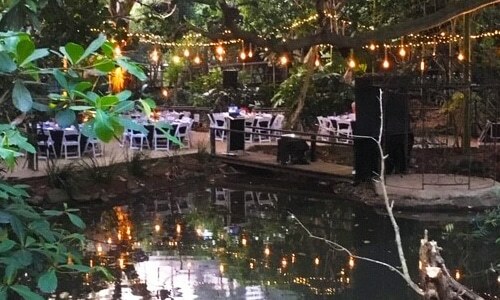 The Rainforest beach is the perfect location for small intimate weddings or the Curlew Cafe located within the Wetlands, can cater for larger numbers. Our events team will work closely with you to ensure your special day is extraordinary!